Dr. Joseph Styles takes pride in delivering great dentistry for the entire family. 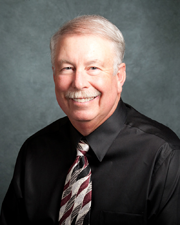 Dr. Styles has been practicing family dentistry for 41 years. He was born and raised in the Chicago area. He attended Augustana College for his undergraduate years and earned his Doctor of Dental Science degree from Northwestern University Dental School in 1972. He began his dental career in an adults-only clinic in downtown Chicago for four years, and subsequently made the decision to move to central Minnesota preferring to work with families and children and he had tired of the big city life. Setting a goal to create a welcoming dental office with a relaxed environment, Dr. Styles took the summer of 1976 off to build the all-cedar wood dental clinic in St. Joseph. Enjoying gardening and planting trees, he added pines and fruit trees and an extensive flower garden around the clinic entrance. Dr. Styles has 3 children and 2 grandchildren and loves living in central Minnesota. In addition to a hobby in gardening, he has a "choose & cut" Christmas tree farm and has a herd of 150 buffalo. Dr. Styles takes pride in delivering great dentistry for the entire family and is pleased to provide it in a warm, comfortable atmosphere. We can help control infection and promote healing.